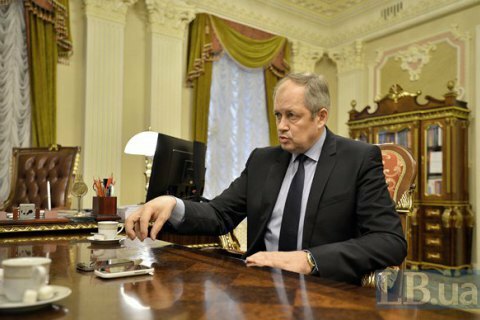 The parliament had no right to abolish the constitutional body, the Supreme Court of Ukraine by a simple majority vote during the adoption of the law "On the Judicial System and Status of Judges", the head of the SCU Yaroslav Romanyuk said in an interview to LB.ua on 19 August. "We believe that by passing a simple law by a simple majority of vote, the parliament had no right to abolish a constitutional body. Should the deputies sought to eliminate the SCU, they could have do that by a constitutional law," said Romaniuk. A public body can be eliminated only when its existence or performance of certain functions are no longer required, or these functions are handed over to another institution. "It is not the case with the SCU, as only a change of name has taken place: from the Supreme Court of Ukraine to the Supreme Court (without the word Ukraine). However, both old and new versions of the Constitution […] describe the Supreme Court as the highest court. Both in the old and new laws "On the Judicial System and Status of Judges" the Supreme Court's main task is to ensure the uniform application of the law by all courts," Romaniuk argues. Likewise, the Verkhovna Rada had no authority to liquidate higher specialized courts, the judge says, as the bill on Amendments to the Constitution provides that the president until December 31, 2017 retains the powers to eliminate courts, says Romaniuk. The constitutional amendments with regard to justice and the new law On the Judicial System took effect on 30 September. The Supreme Court has filed a complaint with the Constitutional Court contesting constitutionality of the law On the Judicial System, which, inter alia, eliminated higher specialised courts and the Supreme Court to be replaced by a revamped Supreme Court with five chambers of cassation. The contest for positions of 120 judges in the new Supreme Court has started on November 17.